A few years ago, I decided to paint my bathroom black. At the time, it was controversial! 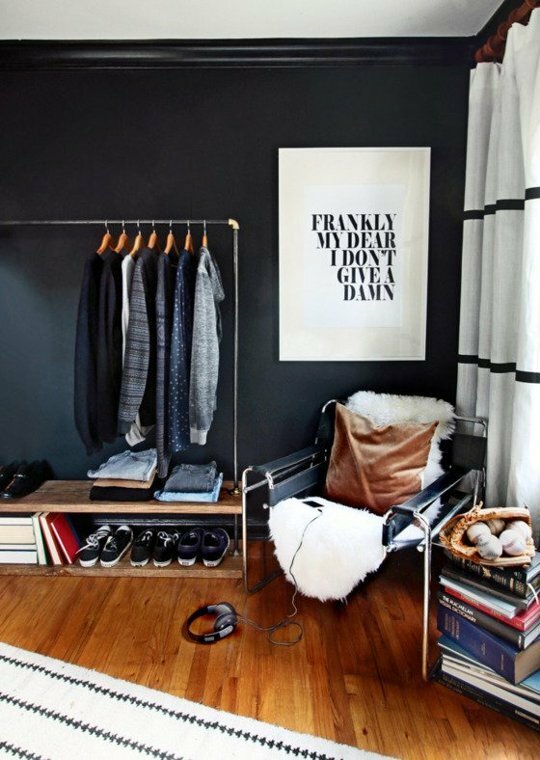 I adore black paint in any room. It is edgy & chic at the same time. It looks great paired with white and wood. What do you think? Is black paint a do or a don't?